Cloud computing has changed the way we do business, enabling businesses to do much more with much less while also opening up countless opportunities. Businesses can now empower mobile workforces, make better use of IT resources, and focus on core, revenue-generating activities rather than supporting complex and costly IT infrastructures. At Miken, we bring nearly three decades of experience in merging business with technology, both on the ground and in the cloud. We understand exactly what your IT assets need: protection, reliability, scalability and affordability. Miken can help you grow your business in the cloud without the need for investing in new infrastructure, managing and maintaining complex systems, and in many cases hiring an in-house technical staff. By partnering with Miken, we completely eliminate the uncertainty and doubt that can accompany a move to the cloud. With our unparalleled cloud expertise, we ensure that your transition to the cloud is compliant, seamless and secure. 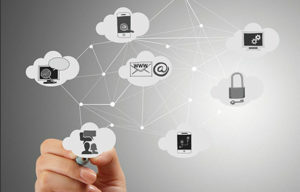 Accessiblity: When your business migrates to the cloud, you have access to the latest data, systems and applications from any computer or device, day or night. Gone are the days when businesses are limited by disparate client server environments. Cost Savings: One of the major benefits of cloud computing is that you can eliminate unnecessary costs on IT resources such as IT departments and hardware. The methods to use, maintain and upgrade technology in the cloud can be significantly cheaper. Real-Time Collaboration: With cloud computing, documents and applications are updated in real-time on a remote server, so you can be sure that everyone is working together. Not only that, but they’re all using the same software versions, so you eliminate problems of compatibility along with back-and-forth communication struggles. Better Security: Most businesses don’t update web security packages and hosting software nearly as often as they should, amounting to something close to an “open door” for criminals online. When your data is being kept at a remote cloud facility, on the other hand, you have a team of round-the-clock technicians who don’t just update software as needed, but also look out for security threats. Isn’t it time you took your business to new heights? Fill out our contact form and we’ll be in touch shortly!